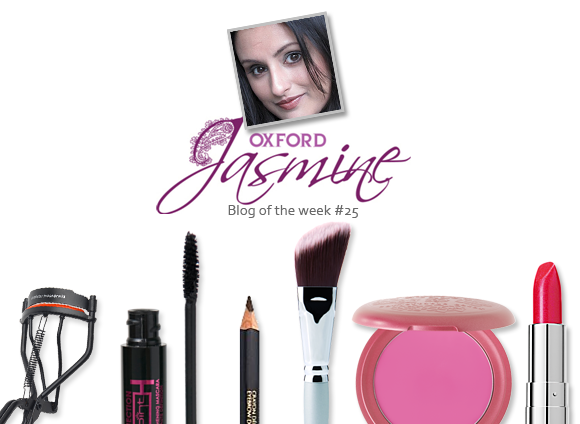 Blog of the week this week goes to Oxford Jasmine – prolific blogger, vlogger and make-up artist. Jasmine’s blog isn’t just a useful shopping guide or a place for great tutorials; her experience as an inhabitant of both sides of the blogger/brand relationship gives a fantastic insight into the way that the branding experience is changing. Give “A refusal often offends – contacting brand, some pointers” a read to see Jasmine’s level-headed blogging style at its best, sharing her experience in a warm and helpful way. She also shares advice on creating your own YouTube videos, making her blog a must if you’re just starting out in the blogosphere. Another favourite post of mine is “The Quest for Symmetry”, whereby Jasmine talks about an intriguing subject that I haven’t actually given much thought to – the subtle differences that outbalance one side of the face from the other. It’s incredible how different she looks when she artificially balances out the symmetry! Not only does Jasmine highlight the differences, but she gives useful tips on contouring and lining to diminish the dissimilarities. Have a look, it’s really informative. Catch up with Oxford Jasmine on her blog, on YouTube, on Twitter, or on Facebook. This entry was posted on Friday, June 24th, 2011 at 8:00 am and is filed under Blog of the Week. You can follow any responses to this entry through the RSS 2.0 feed. You can skip to the end and leave a response. Pinging is currently not allowed.